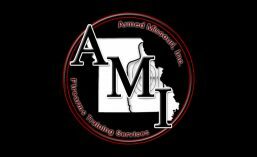 The Goal of Training | Armed Missouri, Inc.
Missouri law has a very minimal shooting requirement for to qualify for a concealed carry permit. The entire live-fire exercise consists of a student shooting at a B-27 silhouette target set at twenty-one feet with either a revolver or a semi-automatic handgun. Twenty rounds are fired as a live-fire demonstration and another twenty are fired as a live-fire qualification. Fifteen of the twenty qualification rounds must be inside the silhouette portion of the target in order to pass. For anyone that has even minimal shooting experience this qualification is a breeze to pass. It can become very easy to take for granted the minimal skills required to successfully complete it. For the novice, however, the task can require a significant expenditure of concentration and effort. I recently conducted a class in which a diminutive woman in her 70’s was in attendance. We’ll call her Joan. Joan had never shot a gun in her life. In fact, her husband admitted that they were really only taking the class so they could say they had done it. It is unlikely that either of them will actually carry a gun. Joan chose to shoot a Smith & Wesson .38SPL revolver. Her first shot missed the paper completely and struck the ceiling of the indoor range about 20 yards downrange. Concerned, I cautiously asked her to shoot a few more rounds while I watched closely. Of the first six shots, only three made contact with the paper and only one made contact anywhere inside the silhouette. As Joan struggled through a reload of the revolver, I asked her if she was using the sights on the gun. She answered that she wasn’t with a note of embarrassment in her voice. I assured her that it really wasn’t necessary to use the sights at that distance as long as shots aren’t just taken at random. Even without the use of sights, shots must be placed with purpose and intent. The particular B-27 targets we were using had a black background and a white silhouette. The center ring was bright orange. I asked her if she could adequately see the orange rings in the center. She told me she could so I asked her to ignore everything else and focus only on that orange circle; then, to push the gun toward that point and press the trigger. The next six rounds all struck inside the silhouette, albeit nowhere near the orange center. I had her continue to use kinesthetic alignment for the duration of the exercise. By the time she completed all forty rounds, her shots were consistently going into the seven ring on the target. Some would look at Joan’s target and criticize her marksmanship. Admittedly, if I shot a similar looking target I would be pretty upset with myself. But Joan’s target, on the other hand, was a perfect example of real training taking place. Her first several shots set a very low baseline. Her last several shots showed a significant improvement over those just a mere forty rounds ago. I really couldn’t praise Joan enough for her marked improvement. After all, the job of an instructor is to provide the necessary instruction and encouragement that their student needs to improve. It doesn’t matter where the student begins. If there is demonstrable improvement, then effective training took place. This should be the goal for every instructor in every course. Never compare a student to other students. Instead compare them only with their previous performance. When you see improvement, you will know that you are doing your job and they are learning. Everyone likes to feel as though they have accomplished something. Students in a firearms course, whether eight or eighty are no exception. This entry was posted in Firearms Training and tagged Firearms Training, Instructors, Practice. Bookmark the permalink.